The transition from your trial period to a paid subscription is seamless. When your trial is up, choose a plan that's right for you. All your account's content and information will stay put! To choose a plan, you must be the Account Owner or a Billing Liaison. 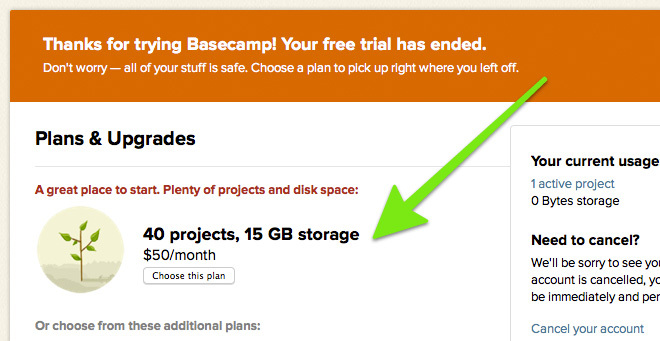 Did you know you can upgrade your Basecamp plan at any time?